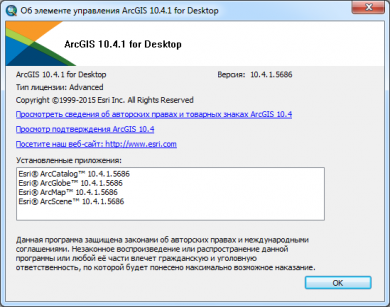 Description: ArcGIS for Desktop - is a group of ArcGIS family of desktop products, providing all the necessary tools to complete the work with geographic information: create and edit data, design, and publishing maps, querying and analyzing information. Esri, the global leader in geographic information system (GIS) solutions, announced the release of Esri CityEngine 2016. This revolutionary modeling technology allows GIS professionals, 3D artists, architects, and urban planners to create smart 3D city models in a matter of minutes. With just a few clicks, the new Get Map Data interface will import satellite imagery, 3D terrain, and street data from any city in the world. What was once a very complicated and time-intensive process now can be done quickly and simply. "This release integrates CityEngine with Esri's powerful ArcGIS platform," said Pascal Mueller, director of the Esri R&D Center, Zurich. "We created a simple way to import real-world elevation data and basemaps from ArcGIS Online. We have also introduced support for Esri's new 3D streaming services with scene layer packages [.SPKs]. Scene layers can be hosted in the cloud and viewed using ArcGIS Scene Viewer, a browser-based application for viewing 3D content at any scale and with unlimited extent."